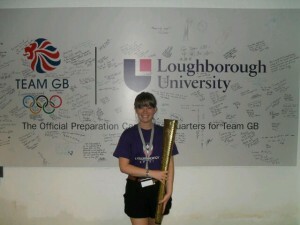 For the past two years I have been working with Loughborough University on the Medal Makers programme to recruit an ‘army’ of volunteers to support the official Team GB Preparation Camp and create a lasting legacy for the area. After all the build-up it is hard to believe that all 550 Team GB athletes, plus 450 support staff, have been to Loughborough to collect their kit and the London 2012 Games are about to start! I have been lucky enough to play my part in the huge Team GB ‘Kitting Out’ operation that has taken place on campus over the last six weeks. My role has involved scheduling (and in some cases rescheduling!) who is coming and when, checking people in on arrival and most importantly being that happy smiling face as the athletes walk through the door to make their experience a special one from the start. Being an excitable person myself this hasn’t proved to be a difficult task – I could honestly say that every day I have been almost as excited as they are. For the majority of athletes this is the first time they will compete at an Olympic Games. Some have been a little nervous on arrival and unsure of what to expect whilst others have bounced through the door in anticipation. 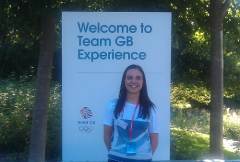 One thing all of the athletes have in common is the fact that they are buzzing when they leave and many have struggled to find the words to describe the incredible experience of getting kitted out and becoming part of ‘One Team GB’. On average it takes around three and a half hours for a Team GB athlete to complete their kitting out experience. Following an introductory DVD fronted by Sir Clive Woodward, the first port of call is to Next for fitting of formal wear and Opening and Closing Ceremony outfits (which are top secret and hidden behind closed doors!). The 1948 Olympic athletes offer their words of wisdom via inspirational handwritten messages framed around the room which is a nice touch. The athletes have their photos taken and are interviewed in the Media Zone which is good preparation for the interest that will surround them in London. They have their hands and feet scanned and the idea of this is to create a lasting memory of every single Team GB athlete to display in the Olympic Museum. The athletes also sign up to the ‘One Team GB’ core values of Performance, Respect, Unity, Responsibility and Pride. The Team GB Preparation Camp wouldn’t have been able to run without the team of dedicated volunteers that have given up six weeks of their lives to take part in this once in a lifetime opportunity. It has been an absolute honour and a privilege to meet all of the Team GB athletes and I wish every single one of them success at the Olympic Games in London. I will certainly be glued to the Games and will no doubt find myself taking more of an interest in sports that weren’t previously on my radar now that I have met the people that will competing. Good Luck Team GB…Better Never Stops! The Medal Maker scheme organised by Loughborough University gave me the opportunity to be that little bit closer to the London Olympics of 2012 than just avidly watching the coverage on the BBC. 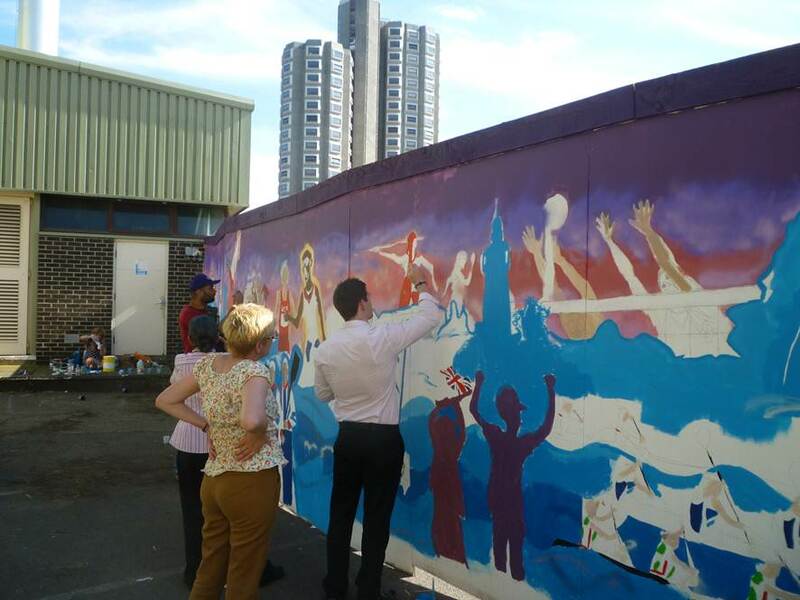 Furthermore it also gave me the opportunity to take part in a variety of activities and work with various people. My first two days as a volunteer were spent down in the Media Centre in Holywell Stadium, escorting t med from there to the Sir Denis Rooke building for their interviews with various members of Team GB. 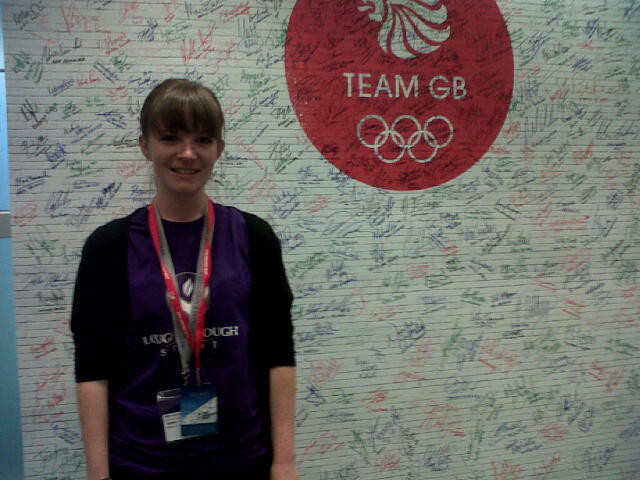 This meant that I was one of the lucky few who got to see a few athletes, including Christine Ohuruogu, and the Team GB wall all of the athletes signed before their interviews, giving me the opportunity to have my photo taken next to it. My other tasks as a Medal Maker involved me writing small articles for the newsletter on some of the Olympic sports, setting up and looking after the Olympic Clubhouse in the Sir John Beckwith building, and copying the recordings of the Olympics to disk. One of the highlights of my time as a volunteer was being one of a group of 90 who were given the opportunity to go to Old Trafford to see Spain play Morocco; a game that ended in a dull goalless draw, although that didn’t dampen my day. I thoroughly enjoyed my Medal Maker volunteering and would like to congratulate every member of Team GB for their phenomenal performances. Furthermore, a huge thank you must go to all the staff that made London 2012 a success. Me with the board the athletes signed. The Official Preparation Camp Headquarters for Team GB opened for ‘business’ on Monday 18th June. This first day of Preparation Camp was in fact one of the busiest! The first athletes to pass through the Camp were the rowers. Since then we have seen (nearly) all 541 athletes selected for Team GB come to Loughborough University to collect their kit, do media interviews and receive gifts from their sponsors. And a lucky 19 teams even stayed here at Loughborough to train! With Medal Makers supporting them all the way. We have had VIPs, Governmental, sporting legends and royalty come to visit us at Preparation Camp creating as much of a stir as the athletes themselves! Team GB have very much felt like part of the family and the ubiquitous red trainers marked the Team GB and BOA staff, athletes and volunteers from miles away. Leaving looks of envy on people’s faces as they passed! Not as envious as when people saw the Medal makers T-shirts however. The purple T-shirts of the Medal Makers have certainly left their mark and have been a useful tool in identifying Medal Maker volunteers from a distance! 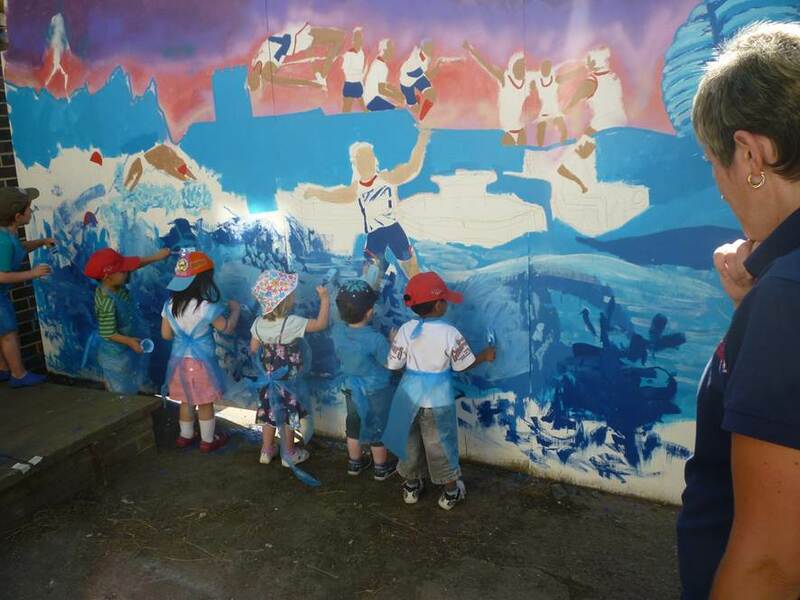 The Medal Makers created quite a stir on the Olympic Torch Relay day when the sea of pink was the closing image of many of the news bulletins on the eve of the 3rd July. The Camp was dismantled on the 6th August and all those who have been involved in the Preparation Camp are very sad to see Team GB leave campus. However the Olympic fever continued with the opening of the Beckwith Clubhouse which has screened much of the Games live on its three screens. Loughborough University and the Medal Makers were thrilled to be able to support so many of Team GB and their training needs. All in all there were 19 teams training here; starting with Basketball on the 21st June and finishing on Monday 6th August when the Taekwondo team dismantled the Taekwondo square and left to go to the Olympic Village. The Medal Makers acted as security of the venues ensuring that no-one without the correct accreditation pass as allowed in (or in the case of the Basketball Players below a certain height!). In addition they supported the teams by getting them what they needed including a brush (and a vacuum cleaner to clean the brush), a sharp knife, ice for ice baths and superglue! Mark - our friendly policeman! 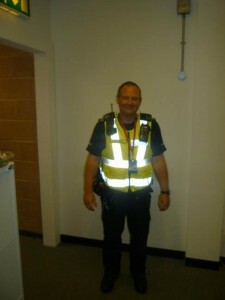 Mark Friskel is a Police Officer who was assigned to the Official Preparations Camp Headquarters for Team GB at Loughborough University from mid-January onwards. He provided a vital link between the University and Charnwood Borough Council, Leicestershire Constabulary and Leicestershire County Council. 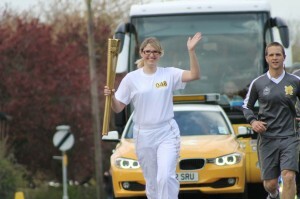 He ensured that all the different strategic plans for the Olympic Torch Relay linked and worked together perfectly. From the start it was clear that there was a lot to do! The Olympic Torch Relay through Leicestershire comprised two events: the dress rehearsal on the 20th April and the real thing on the 3rd June. Being involved in the dress rehearsal was exciting as Leicestershire showed people what was involved and how it would look. The whole nation, plus LOCOG, Team GB, the BOA and the IOC were watching us to ensure it all went according to plan. In addition to the logistics of the torch relay, the traffic controlling measures had to be meticulous as many major routes were affected. The feedback from the day was very positive with the staffing from the Medal Makers volunteers absolutely spot on! Now to planning the real thing! The emphasis here was to shape the plans and bring it all together. We needed to brief as many volunteers as we could and The Medal Makers team helped to set up those briefing sessions. Without those the volunteers may not have known what was expected of them. 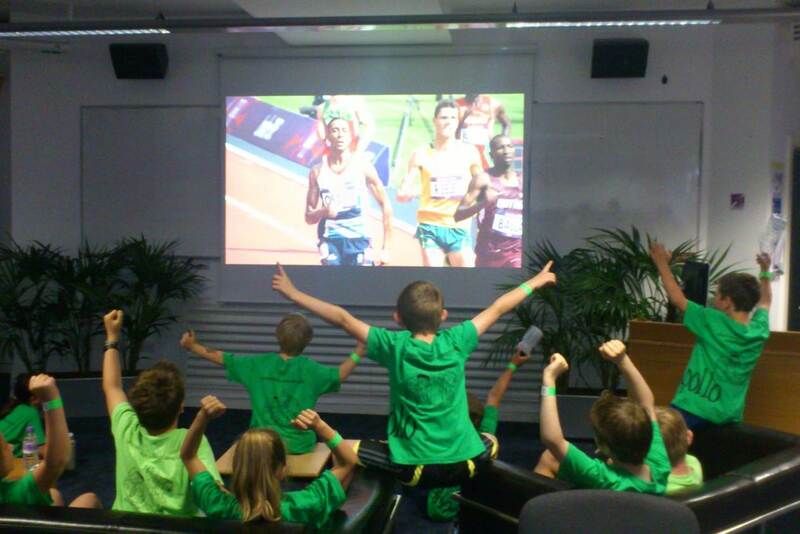 One of the highlights of Mark’s work on campus was playing the video of the previous days’ footage of the Olympic Torch Relay on the morning of the 3rd July. Seeing everyone’s faces in the ‘sea of pink’ light up as they realized exactly what they were involved in was inspiring. They even gave a round of applause in appreciation of the day ahead. In addition to the volunteers and visitors to campus, local school children filled the Holywell Stadium and the cheering in there was deafening…it certainly helped build the air of excitement and anticipation. All in all an estimated 9,000 people were on site watching the Olympic Torch go through Loughborough University’s campus. To celebrate the impact that Loughborough University has had upon the Team GB athletes and to thank the Medal Makers volunteers for all their hard work a special event was organised for the Opening Ceremony. 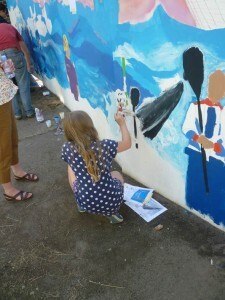 The Sir John Beckwith lecture theatre was set up an Olympic Clubhouse and a Hog Roast was organised. there were games organised for family and friends and a fantastic night was had by all.